Yup, this is the one you’ve been waiting for boys and girls. SanDisk storage devices and memories cards are always among the hottest product lines during the Black Friday shopping blitz. After all, you need new memory cards for all the hot new gadgets you picked up, right? 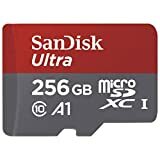 Well Amazon definitely did not disappoint this year — the retailer has more than 20 different SanDisk products on sale today. 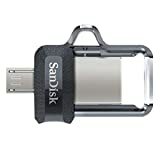 Highlights include terrific prices on a SanDisk Ultra 256GB microSDXC UHS-I card, Sandisk Ultra 128GB Micro SDXC UHS-I Card, SanDisk 64GB iXpand Base, SanDisk 1TB Extreme 500 Portable SSD, and SanDisk Cruzer CZ36 64GB USB 2.0 Flash Drive. 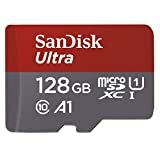 Unlike most Black Friday deals, this huge SanDisk sale is actually only good today for one day, so it’ll be over by the time Black Friday rolls around. In other words, get in on the action now while you still can. Shop the full SanDisk sale right here, and check out some of our favorite deals below.